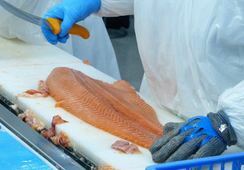 A financial analyst has highlighted rising costs in salmon farming, and warned that he believes the costs will continue to rise as the industry grows. Ragnar Nystøyl, general manager and analyst for Kontali Analysis, shared some thoughts about salmon growth, price expectations and productivity for the coming year during Seafood Week at Hell, near Trondheim in Norway. 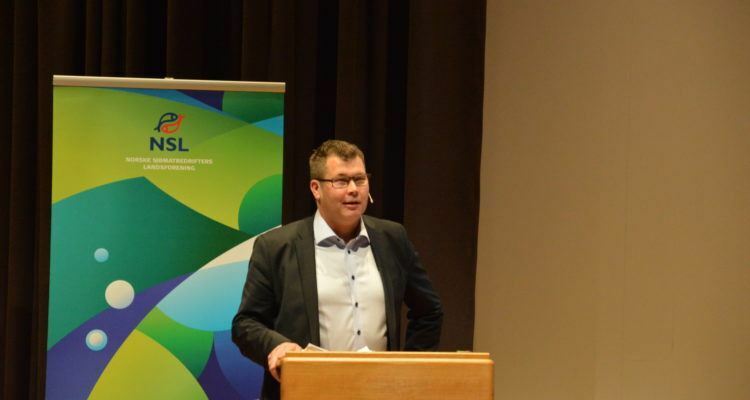 Nystyøl expects results in coming years from two factors he believes are drivers for increased capacity in the Norwegian industry - the country's "traffic light system" of expansion, and development licences. "The third factor is cost growth," he added. "In 2016 10,000 tonnes more was harvested than in 2012. Then [in 2016] it required more than 14 billion kroner to get the same volume, which is a 56% increase in costs. If you adjust for normal inflation and increased feed prices, this is a growth of seven billion." Nystøl estimates that it will require NOK 15 billion to follow the industy's growth model until 2025, which can generate a volume growth of 450,000-500,000 tonnes. "Capacity growth must be paid for, but will it pay off? That's the question," he said. 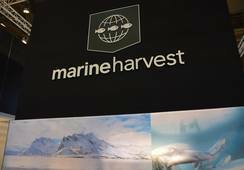 "For 2018 we expect an increase in European salmon production of 102,000 tonnes in harvest volume, which corresponds to 7%," said Nystyøl. Growth is represented in all quarters of 2018, but given biomass status it will grow most at the end of the year. 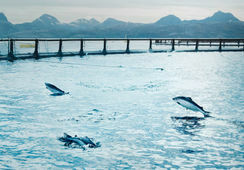 Due to a major build-up of salmon biomass in the sea globally in 2017, he says a market growth of 10% is needed. He added that biomass growth is expected in all regions apart from Scotland. Nystyøl said while he had anticipated better productivity in Chile, the country has proven to be even better than expected, both in terms of volume and productivity. "In 2017, Chile was also better off than Norway, and beat it with higher survival for the 16 G (2016 generation) stocking. They have also achieved high weights, 200-300 grams higher than in Norway," he said. Productivity in Norway, measured by smolt yield, economic feed factor and waste, has gone in the wrong direction in recent years, he said. "But by the 16G stocking it seems like this has turned. And although it's too early to say if this is a trend, we are postitive." Nystyøl points out that increased productivity will yield lesser earnings, resulting from higher harvest volumes being followed by falling prices.